When we think of homes in Arabian Gulf countries that have built their economies on oil, we think of palatial palm-flanked villas serviced by legions of foreign workers. And sometimes that vision isn't so far from the truth. So how do you get a population accustomed to such luxury interested in earth friendly living? This is the challenge Abu Dhabi's Urban Planning Council faced when they launched their Estidama green building rating system in 2009. And this prototype eco home showcased at last week's World Future Energy Summit in Abu Dhabi will give our readers an indication of how they addressed it. 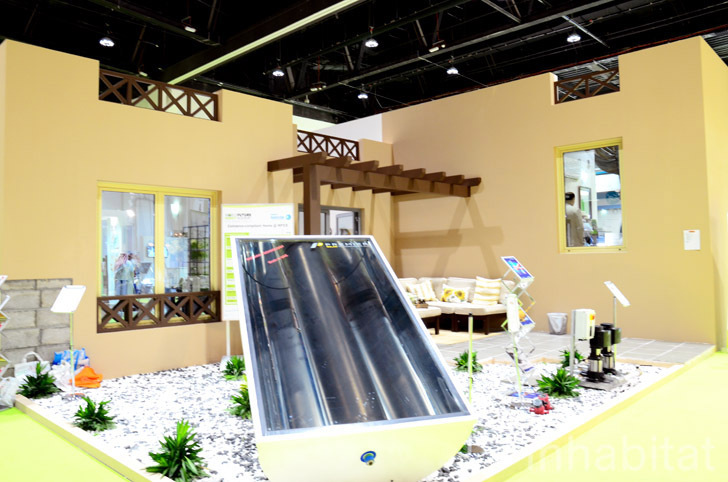 Designed in part by Dr. Hassan Yasser Ebrahim, Senior Manager of Planning & Design Sustainability at Sorouh Real Estate, this prototype eco villa has a variety of features that slash its energy and water consumption by up to 30 percent. A tight envelope and glazing prevents thermal losses, careful solar orientation minimizes solar gain and rated appliances and air-conditioning systems contribute to the energy efficiency while special low flow plumbing systems ensure water is not wasted. A solar system heats water, further minimizing the energy load. But perhaps the most important aspect of this villa is that it is decidedly Arab. In addition to the furnishings, which might seem strange to some of our western readers, the home is designed specifically in accordance with Arab culture that places great importance on privacy. Guests can congregate in areas that are completely separated from private quarters and there is a lovely courtyard space that would lie behind tall walls. 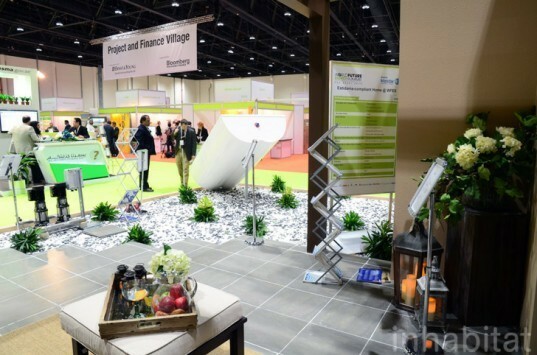 The Estidama compliant eco villa on display at WFES represents the model used in two government-backed construction projects that combined feature just over 1,000 units.